The RS300 2016 nationals, at Exmouth. 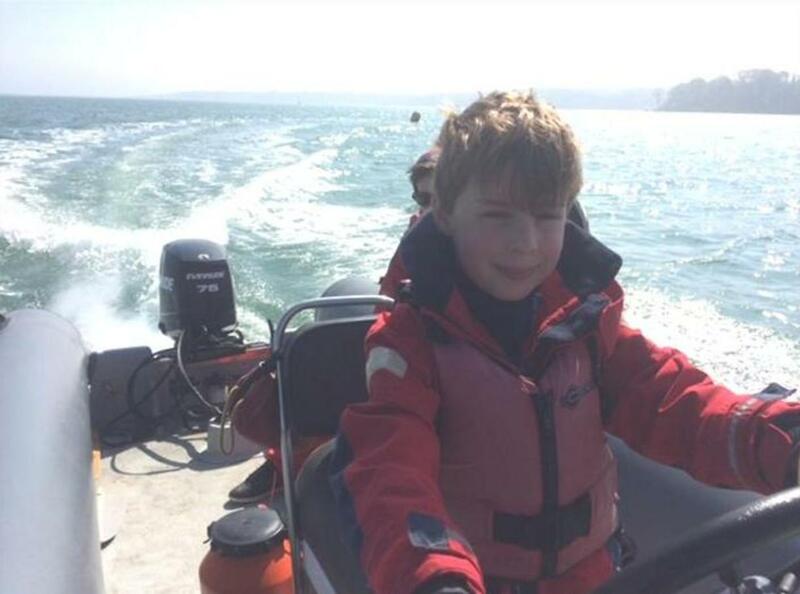 Having come to the end of the second year of running this group it is evident that the young members of the youth powerboat group have a talent for safe and quality rib driving. We completed 15 sessions ranging from -3 degrees centigrade on the first January date through to +28 degrees in July. In the main, everyone stuck with it come rain or shine and 4 cadets were even minded to formalise their skills attaining PB2. Along with some 'responsible adult' they can now be seen supporting various duties and events as time permits. 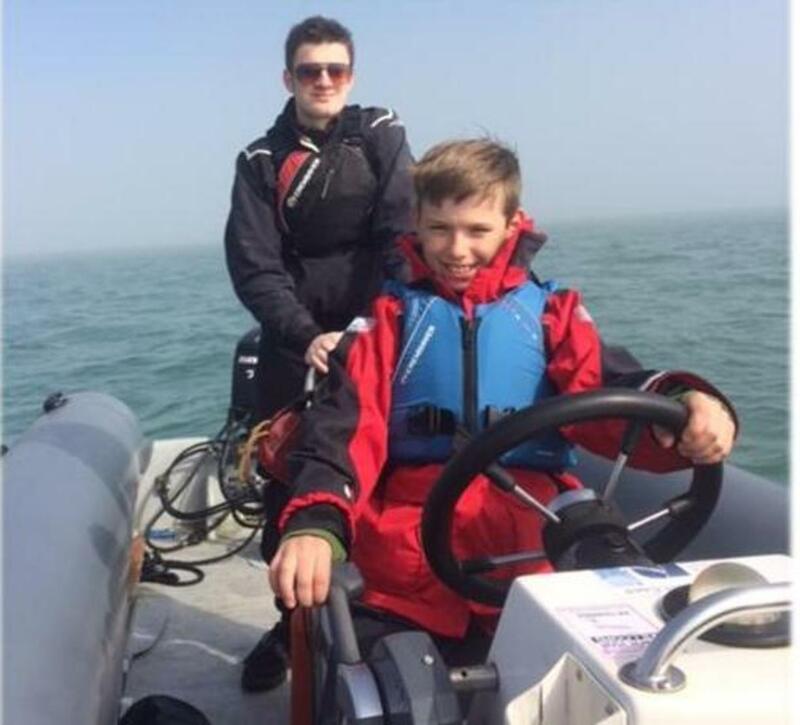 As for the Honda Youth Challenge event itself, on 30th July at the Marchwood Sailing Club the local area heats were held for the Southern Area with the RVYC being represented by Aiden Hitchcliffe in the 13 to 16 Year category, and Preston Draper-Oatley in the 8 to 13 year category. Both acquitted themselves very credibly against some tough competition. On the day it just didn't go our way but we learnt some valuable lessons on how to improve the course layout and driving skills necessary to improve next year. One of the winners in this heat went on to do very well in the final, so it shows the standard we are up against in the region. For those new to the club, or unaware of the group, we teach any 8+ cadet to drive a rib safely and broadly in line with the RYA PB2 syllabus. Whilst the cadets do not gain the formal qualification without taking the course in a specific session, they are as capable as any of the PB2 drivers at the end of these sessions. Once they can drive a boat safely and competently we progress to the race itself with each of the slalom, stop and reverse tasks being first taught and then refined. By the end of the course they will be racing the clock to go round the course in approximately 1 minute. As in everything our club does, those that step in and support wholeheartedly make the difference and it is important to thank all the parents that ensure everyone arrives on time and then help to launch and recover the ribs and often get the role of mark layer or time keeper. We cannot continue to do this without their support so a big thank you to them all from both Rob and I for last year and here's hoping they might continue in 2019. For 2019 we plan to continue and offer both those with experience as more advanced training session, whilst still attracting new members to join the powerboat group. As with sailing cadets look out for entry forms and relevant dates early in the New Year.